By installing scaffolding that conceals the roof and mimics the windows of the existing building, the demolition site is less conspicuous, thus preserving the image of the hotel as it gradually shrinks. The hotel has been nicknamed ‘Aka-puri’ and was a symbol of Japan’s former bubble economy. The 40-storey ‘new’ tower was designed by Kenzo Tange and opened in 1983. It was built by Kajima Corporation. Given its proximity to the National Diet, it often hosted meetings held by politicians. The hotel occupancy rates during the late 1980s exceeded 90%, but the appearance of foreign-owned luxury hotel chains in recent years provided tough competition. Despite renovating the hotel in 2001, the average revenue per room fell to almost half of what it was during the bubble. In April 2010, the hotel owner Seibu Holdings announced plans to demolish and rebuild the hotel. Reasons for demolition included aging facilities, limited revenues and low room ceiling heights of just 2.4 meters (the ceiling height in a typical new apartment is 2.7 meters). The hotel closed in March 2011. Following the Tohoku disaster in 2011, refugees from the disaster zones were temporarily housed in the hotel rooms. The new plans for the site include a 180m tall hotel/office building and a 90m tall residential apartment building. It is unclear at this stage whether the apartments will be for sale, or rent only. The project is scheduled to be completed by mid-2016. Left: The hotel in May 2010. Right: The hotel’s Christmas illumination. The demolition project is the tallest of its kind in Japan and exceeds the previous record of the demolition of the 110m tall Sofitel Tokyo near Ueno Park in 2007. Given the height of the building, it is extremely important to have measures in place to reduce noise and dust, and to protect against strong winds and earthquakes that may occur during demolition. Suspended scaffolding around the exterior was first set up to install the soundproofing panels, and a cover was placed over the top of the building to prevent dust from escaping. The 1,500 ton scaffolding and temporary rooftop is supported by 15 20m-long temporary pillars. By keeping a cover over the top of the building, noise is reduced by 15 decibels, and dust dispersal is reduced by 90%. The removal of the interiors, along with asbestos, began in June 2012, and scaffolding went up in August. The scaffolding attached to the exterior of the building. It takes approximately 10 days to demolish 2 floors, and demolition is expected to reach ground level by May 2013. 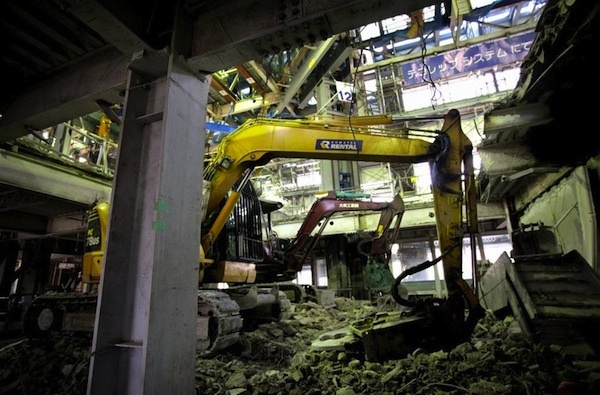 Demolition of the underground structure will be carried out by Kajima Corporation, Tekken Corporation and Kumagaigumi, who will also be constructing the new buildings. Right: A hole cut into the slabs of each floor allows materials to be lowered to the ground floor. This is the second demolition project to use the Teco-Rep System. 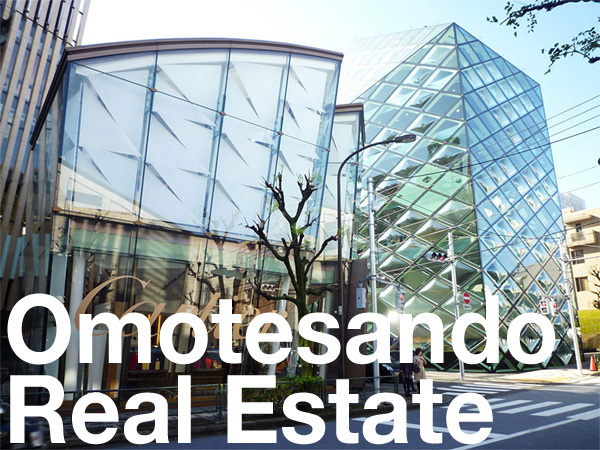 The first project was the former Otemachi Financial Center building. The 105m 24-storey building was demolished between February 2011 and July 2012. The combined weight of the roof and scaffolding was 1300 tons, and was supported by 12 temporary pillars. In this example, a ceiling-mounted crane could be installed under the existing roof. The hotel demolition is using the same scaffolding that was used on the Financial Center site, but there are two major differences between the projects. 1) Reinforcement of the existing roof. The Financial Center had stronger pillars on the top floors, so several could be removed without compromising the structure. 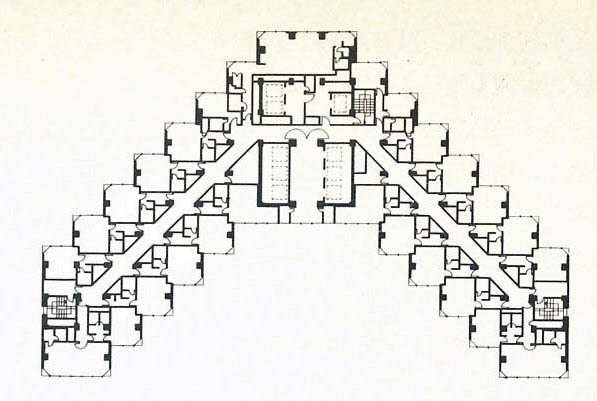 The Akasaka hotel has many smaller, less rigid steel beams (see floorplan above), which could not be removed. As a result, additional trusses were added to the roof structure. 2) Timing. The Financial Center had a floor height of 4 meters, and it took 6 days to demolish one floor. The Akasaka hotel, however, has a lower ceiling height of 3.2 meters, which required less preparation and planning time. This has shortened the overall demolition time by 2 months. Left: The system for the roof trusses. Right: The scaffolding atop the building. 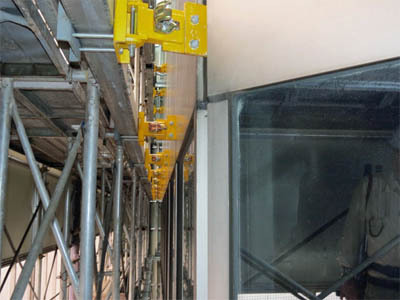 When used on buildings over 100 meters tall, the Teco-Rep System can be more economic in terms of cost and time. According to Taisei, there are over 700 buildings in Japan that are over 100 meters tall. Of those, over 100 are now at least 20 years old. 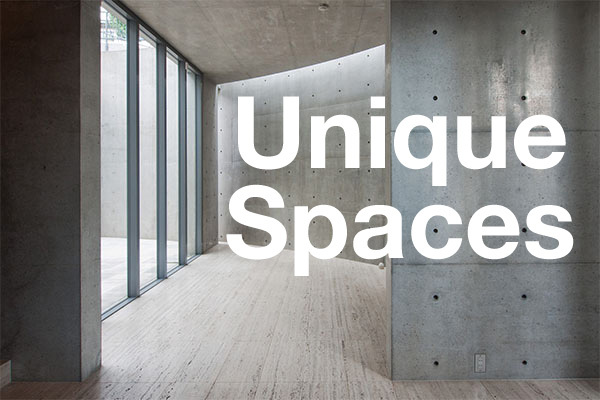 Due to relatively low ceiling heights and lower earthquake resistance than modern buildings, as well as redevelopment of the surrounding area, Taisei expects their demolition system to be a popular choice not just domestically, but overseas as well. Left: The hotel in early November, 2012. Right: The hotel one month later in December, 2012. Source: Kenplatz, December 27, 2012.